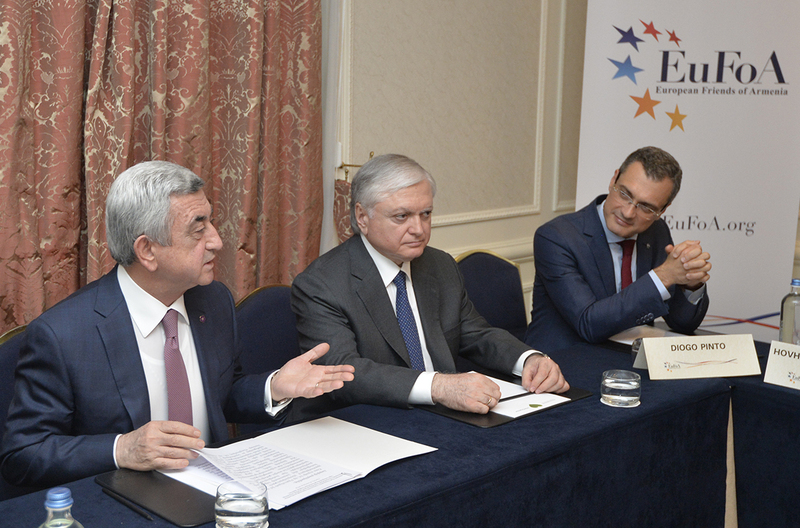 On 23 November 2017, President of the Republic of Armenia Serzh Sargsyan joined the Inaugural Meeting of European Friends of Armenia’s Honorary Council. Mr Pinto also reite rated EuFoA’s commitment to raise awareness of Armenia in Europe and build bridges between Armenia and the European Union. “Armenia can count on its friends, Armenia can count on us”, Mr Pinto said addressing directly President Sargsyan, who thanked EuFoA’s valuable and significant work in promoting Armenia’s cooperation with European countries and institutions. 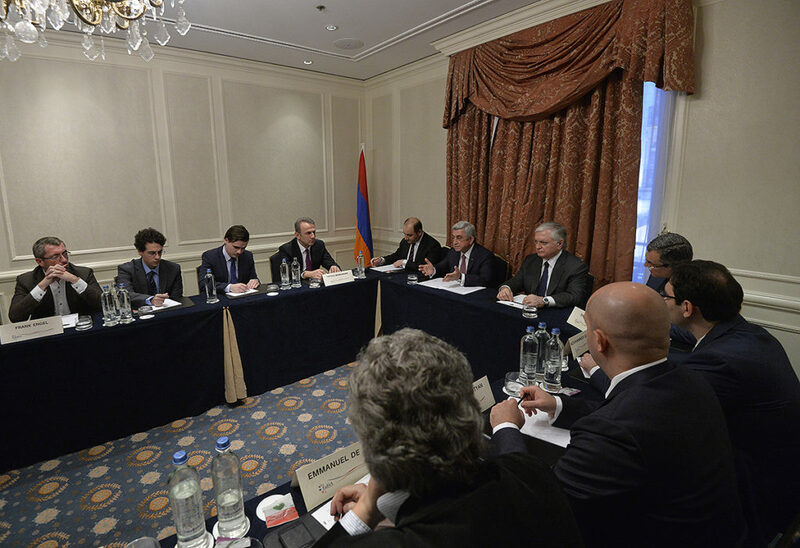 President Sargsyan informed the Council’s members about his busy agenda of meetings during his stay in Brussels, as well as the future prospects of EU-Armenia relations. Joined by Minister of Foreign Affairs Edward Nalbandian, President Sargsyan emphasised the need of furthering the cooperation with the European Union on issues relevant to Armenia, based on shared European values of democracy, rule of law and respect for human rights. The President followed his speech by engaging in a fruitful Q&A session with EuFoA Honorary Council members, moderated by EuFoA Director Diogo Pinto. Opening the conversation, member of the British Parliament Stephen Pound highlighted the support of his Parliament for the Armenian cause, describing Armenia as ‘a beacon of political stability in an unstable region’. The dialogue then touched upon topics related to Armenia’s international affairs and shared identity between Armenia and the rest of Europe. At the end of the meeting, President Sargsyan extended an invitation for EuFoA to organize the 2018 meeting of its Honorary Council in Yerevan.